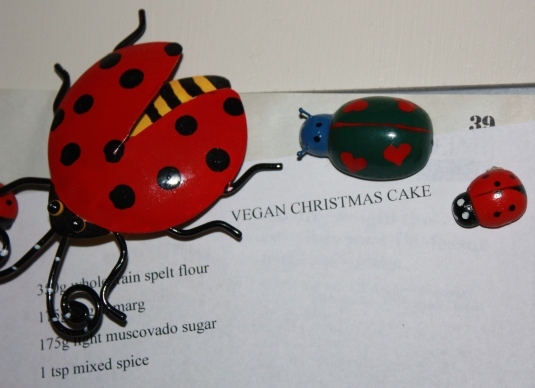 The recipe is ladybird-ed to the notice board and I am off to buy the ingredients. Any day now the mood will feel right for baking the Vegan Christmas Cake. My recipe is a Rose Elliott one that I adapted and I adore it. People always contact me to say they have made it with great success so I hope more of you will do so this year. Stay tuned!